Just had to share another one. 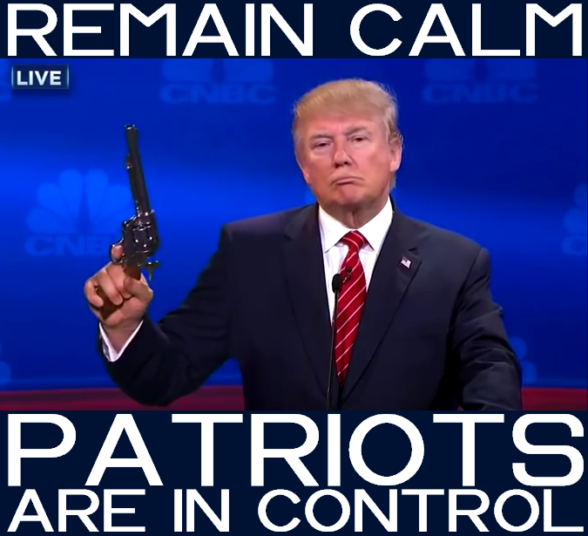 Pure magic, and proof “The Great Awakening” is indeed upon us and the peasants are in revolt. When I used “storm the Bastille” on November 25 in reference to the invaders breaking into the USA from Mexico I had no idea of the activities in France. To say the natives are restless is now a massive understatement. You can also click the link below to go to Twitter to see the videos of the rivers of protesters—with torches!—coursing down the streets of European cities and the one below where they are chanting in unison, “We want Trump!”. I’m gobsmacked every time I see it. The video below it is exciting, too. They say they will not be divided again and are in the fight for their lives. Wow. Gives me goosebumps. Thanks, L, for the link. Incredible and historic footage. There have been reports and video of snipers on the rooftops of Paris. We hope our brothers and sisters in Europe remain safe and get the justice they deserve soon; ultimate freedom from tyranny. We’re all fighting for it. Both QAnon and Thomas Williams have told us the world is about to change, and we, the awakened, are ready for that transformation—or as ready as we’ll ever be. 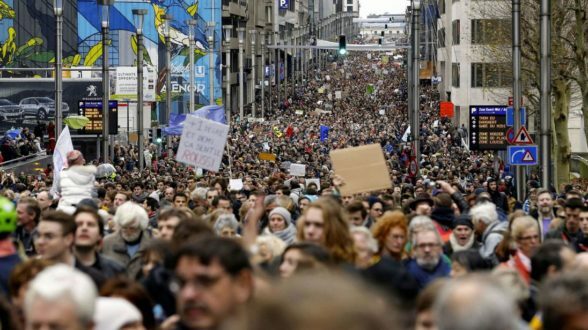 Check out the protestors in Brussels over “climate change tactics”. The globalists have completely misinformed the public about what causes “climate change”. They told us Global Warming is the imminent threat, but now we’re hearing a mini ice age cometh. There’s plenty to protest in Europe, and no end in sight. They’re mad as hell and they’re not going to take it any more. 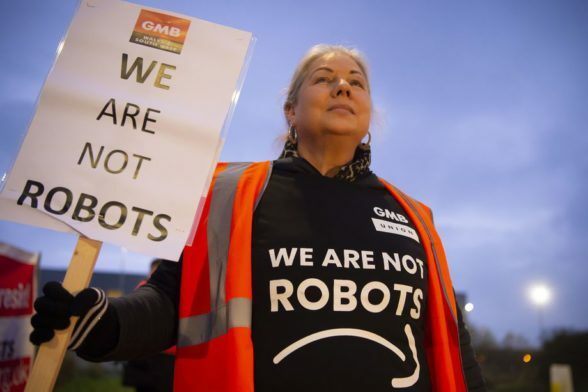 Amazon workers in Italy, Germany, Spain, and the UK staged mass walkouts, protesting poor conditions and low wages. This entry was posted in Uncategorized and tagged Amazon, Belgium, Brexit, brussels, chanting, civil unrest, climate change, demonstrations, EU, France, gas tax, global warming, Holland, love, Macron, MAGA, May, media blackout, MEGA, Netherlands, Paris, protestors, revolt, riots, Starship Earth, the Hague, Trump Effect, video's, wages, walkouts, We want Trump, working conditions.. Bookmark the permalink.